Recent agenda and meeting minutes are posted on the Town of Brookfield website as required by State Statute. 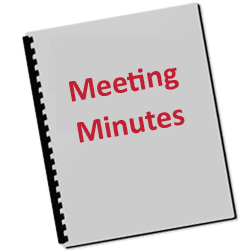 Note: Meeting Minutes are in posted here for convenience. The official records are on the Town website at the links above.